It was perhaps a foregone conclusion that Matthew Dontzin would one day start his own law firm. 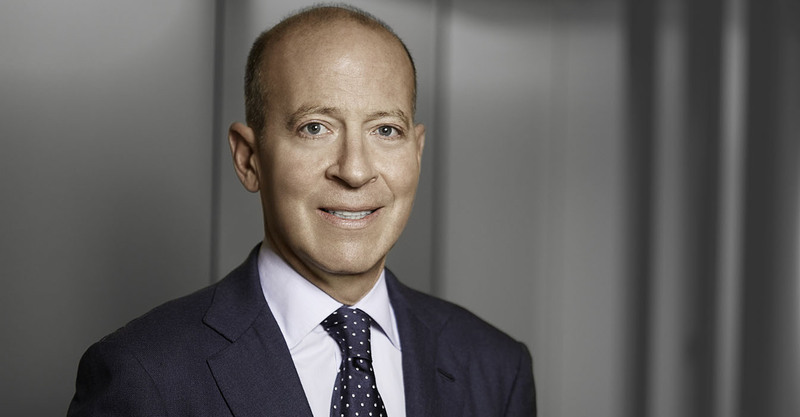 The founding partner of New York-based Dontzin Nagy & Fleissig has an entrepreneurial spirit that is reflected in the fascinating blend of litigation he has handled in U.S. jurisdictions and overseas. Dontzin brings an international flair and capability for clients in the financial arena as well as the art world, counting among his clients the Gagosian Gallery. Proving his firm’s cases are never cookie-cutter, the former Kramer Levin partner even litigated what is believed to be the largest divorce settlement in UK history. An NYU law graduate, Dontzin began his legal career in South Africa and has maintained his passion for human rights work ever since, serving as a board member for Human Rights First and contributing to his firm’s pro bono hours. Lawdragon: Can you describe for our readers the mix of litigation you handle in your practice? Matthew Donztin: I have a fairly broad practice. I have a number of hedge fund clients based in the U.S. and overseas whom I represent in connection with various regulatory matters before the SEC, the New York Attorney General, the Department of Justice, and other government agencies. I’ve also represented these clients in litigation involving disputes with investors, employees, and other third parties. In addition, I represent several well-known art galleries and collectors in matters involving disputes over the ownership and authenticity of various artworks, among other things. I also represent a number of international investment banks in sophisticated financial disputes and ultra-high-net worth individuals in various matters here and abroad. LD: When in your career did you begin to develop an interest and experience in cases that had an international component? MD: Receiving a Ford Foundation Grant after graduating law school allowed me to pursue human rights legal work in South Africa. Training lawyers to defend cases of treason and terrorism toward the end of apartheid is when my interest in international law developed into a passion. My colleagues and I brought cases against the government in an effort to end violence in the townships. After that, I spent several years coordinating legal strategy on behalf of the CEO of the National Commercial Bank of Saudi Arabia in connection with civil and criminal proceedings in the U.S., the UK, Europe, and several offshore jurisdictions, involving the collapse of Bank of Credit and Commerce International. During this engagement, I was responsible for supervising over 35 different law firms in more than seven jurisdictions. Early in my career, I was also responsible for building the first cross-European internet banking platform for Deutsche Bank. LD: Does the firm’s cross-border practice tend to focus more on either commercial disputes or multijurisdictional regulatory investigations, or is it evenly mixed? How did Dontzin Nagy & Fleissig develop the type of network in various jurisdictions to have a thriving practice? MD: It is evenly mixed. In fact, for many of our overseas clients, we have handled both regulatory investigations and commercial disputes. For example, over the last 15 years, we have acted as outside general counsel to a global asset manager with over $20 billion in assets. In doing so, we represented the asset manager in connection with regulatory investigations in the U.S., UK, France, and Spain. But we also represented the same client in connection with multi-billion-dollar commercial claims. Because we don’t have overseas offices, we are not limited in whom we can select to work with us. This freedom gives us the ability to retain the absolute best person for each particular engagement. I worked with a number of excellent lawyers in various jurisdictions in connection with my work for NCB, Deutsche Bank, and for other clients and those experiences have given me access to a deep network of attorneys I can rely on for advice or to act in a co-counsel capacity. LD: Succeeding in cross-border disputes would seem to require a different skill-set than other trial-lawyer traits. What does it take to manage a complex cross-border litigation that involves different jurisdictions and regulatory agencies? MD: Knowing when to push for a change and when to accept “that’s just how we do it,” is one of the major challenges in this kind of work. When managing a complex cross-border litigation, you need to be sensitive to the cultural differences of the various jurisdictions involved: what “works” in New York State Supreme Court – a hard-charging, aggressive brief, for example – may alienate the judges you confront in London or Paris, who are more accustomed to an understated approach. That said, I have found in my practice that just because something is “always done” in a certain way in a foreign jurisdiction doesn’t mean it can’t be done differently if it’s more effective. For example, our practice has always relied on driving the facts and in preparing witnesses. In some jurisdictions, that is almost a novelty. We bring that skillset, and it has given us outsized, and sometimes unexpected, results. I’m confident that several victories my firm has achieved in our international cases were the result in part of our convincing foreign counsel to go beyond the accepted approach, even if it made them uncomfortable doing so. LD: Within this practice, are there any interesting trends you are seeing in terms of the types of cases clients are bringing to you or the jurisdictions involved? MD: In the art world, we are seeing a number of disputes involving “daisy chain” brokers – i.e., individuals who claim that they have legally binding mandates to buy or sell art on behalf of unidentified principals, but who only have relationships with other brokers purporting to represent such principals. These individuals enter into letters of intent with art galleries and then “shop” the corresponding work of art among their broker relationships in the hopes of finding a buyer and controlling the distribution of commissions. Very often their “buyer” never appears, and the galleries end up wasting significant time and resources chasing illusory deals. I’ve seen the growth in the UK of aggressive “plaintiffs’ side” law firms, who quite often bring cases that are not well-grounded, or even frivolous, in the hopes of securing a quick settlement. Many of these litigations came about in the wake of the global financial crisis, which resulted in a number of disappointed investors both here and abroad looking for “deep pockets” to recoup their losses. LD: You’ve had a number of cases involving art galleries. Can you discuss how you came to develop this niche and aspects about these cases that you enjoy? MD: I enjoy these cases for a few reasons. First, the subject matter – often involving some of the most valuable art being sold on the market today – is incredibly exciting because there’s a lot at stake. Second, these cases tend to present a variety of legal issues – many of which are novel and require creative solutions; it’s always a challenge. Third, I love art and being surrounded by it every day is a joy. Fourth, the personalities involved are fascinating and colorful. I have been practicing art law for three decades, beginning with the Sidney Janis gallery. This early representation left me fascinated by the field. Later, a number of our high-net-worth clients began to collect art, and came to rely on me whenever something went wrong. As the market became more complicated, and we brought our trial skills to the field, we distinguished ourselves in our ability to win cases. We believe that applying trial skills to a new field can bring a more successful result for clients than bringing a specialized skillset to matters that are complex and litigious. As the art world has become more commercial and complex, we have found our matters – and the skills required to solve them – to be more akin to the financial world or even, sometimes, to the criminal defense work I did early in my career. As an example of the tenacity required in art law today, one of our clients learned that a painting he purchased from the world-renowned Knoedler gallery for $15 million was a fake. We litigated that case for our client and succeeded in securing a very favorable settlement before the gallery was sued by several other defrauded customers and ultimately closed its doors. The other plaintiffs were left with little recourse and our settlement stood out, not only as the largest but also as the most efficiently resolved. We also have long-standing relationships with a number of major art galleries, including the Gagosian Gallery, which is the world’s leading art dealer; we do all of Gagosian’s legal work worldwide. Through our work with Gagosian, we believe that we have addressed more diverse issues of art law than any other legal practice, from commercial to regulatory matters, domestically and in countless jurisdictions. LD: We were curious about how an American lawyer led a team obtaining the largest divorce settlement in UK history, in achieving that $360M result for philanthropist Jamie Cooper. Can you talk about how that case came about and any other details that led to that historic result? MD: The case came about as a referral from the CEO of one of my overseas hedge fund clients. The size of the judgment was, in my view, the result of the aggressive approach we adopted in the case: We argued strongly against a presumption under UK law that a wife should take less than her husband in circumstances where the husband was responsible for generating the bulk of the marital assets as a result of his unique skills. We took the position that the wife in this case – a Harvard Business School graduate, who raised the couple’s four children while at the same time was the CEO and Board Chair of the couple’s charitable foundation, which she developed into one of the most well-regarded charities in the world – made an equal contribution to the marriage and thus was entitled to the same percentage of the marital estate as her husband. Ultimately, the Court did not go that far – there is obviously more work to do culturally in the UK on that front. LD: Why did you decide to leave BigLaw and co-found your own firm? MD: At the time that I was practicing at Kramer Levin, I was representing the King of Saudi Arabia’s banker. He asked me to leave to become his General Counsel. I have always had an entrepreneurial spirit, and I saw this as an excellent opportunity to start my own firm, where I had complete control over the matters I took on and the economic model I offered to my clients. I always thought that the traditional practice of lawyers billing by the hour didn’t properly align the incentives between attorney and client. LD: What was it like to practice with your father? Can you share any particular lesson learned or wisdom you inherited from him? MD: My father was a role model within the firm and for me: smart, patient, kind, even-tempered, dedicated, and hard-working, even into his 80’s. He was a particularly great resource to the firm given his time on the bench as a New York State Supreme Court judge. He knew how judges thought as well as what arguments “worked” and what arguments would fall flat or not be well-received. After leaving the bench, he devoted his practice to mediating cases at JAMS, and I learned from him how valuable mediations can be as a tool to resolve difficult cases in a cost-effective manner. LD: Please describe your interest and involvement in Human Rights First. MD: I currently serve as a board member of Human Rights First. Because of my interest in human rights, I’ve made sure that our firm supports up to three litigation associates who devote as much as half of their docket to public interest matters. Recently, in March 2018, we secured a victory in an immigration case on behalf of a Kenyan national, Mr. N., who had been detained and put into deportation proceedings after living in the U.S. for nearly twenty years. We took Mr. N.’s case pro bono in November 2017. We filed an application for cancellation of Mr. N.’s removal, setting forth substantial evidence demonstrating that Mr. N.’s family circumstances and record weighed in favor of allowing him to remain at home in the U.S. In addition to our written submissions to the court, we prepared several witnesses, including Mr. N., for the merits hearing. At the hearing, the immigration judge agreed that, given the equities of Mr. N.’s case, the deportation proceedings should be cancelled. After spending more than four months in a detention facility, Mr. N. went home that same day. LD: What do you look for in young lawyers and how do you attract them to your firm? MD: We are looking for aggressive, smart and hard-working young lawyers who thrive under pressure. Lawyers are attracted to our firm by the cases we handle – which are never “cookie-cutter,” usually very interesting, and often high profile – and by our compensation packages, which regularly exceed those paid by Am Law 100 firms. Young lawyers want to be in court, and our firm provides unique opportunities early on to get inside the courtroom and play a meaningful role. LD: How does the firm succeed in a competitive market? Please talk about the firm’s philosophy to approaching cases, the use of alternative fee arrangements or case finance and any other relevant information. MD: We believe billing by the hour is a broken model for most cases. This is a radical departure from the way most clients/general counsels think, but it has proved very effective. Ninety percent of our fee arrangements are success-based, even on the defense side. Our guiding philosophy is: we win when our clients win. What classifies as a win depends on the specific needs of our client. Some are best served by taking a case to trial while others receive the greatest benefit from an early settlement through mediation. These arrangements align our interests with our clients and provide an incentive for us to focus on what really matters in a case.